There are many different ways to approach teaching Factors & Multiples. It's almost important to relate them together in Math because factors and multiples are both concepts related to multiplication. Factors are numbers that we multiply to get a certain number. Multiples are the numbers we get after multiplying by the designated multiple number. Factors and Multiples can be an exciting learning experience for students. Actively engage your students in the learning process with these Factors & Multiples activities. 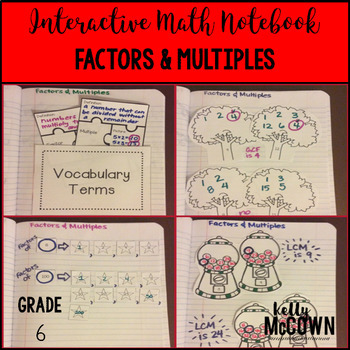 These interactive notebook activities are intended to help students understand find the greatest common factor of two whole numbers less than or equal to 100 and the least common multiple of two whole numbers. Students will also understand how to use the distributive property to express numbers. 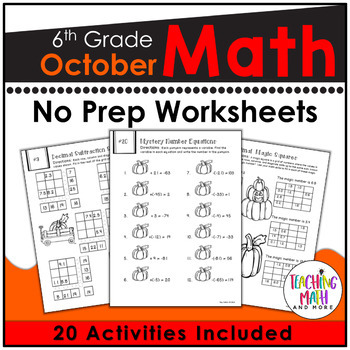 There are other ways to incorporate Factors & Multiples in your classroom besides using an Interactive Math Notebook, games, Math Stations, and other hands-on activities to name a few. Make it fun and exciting. 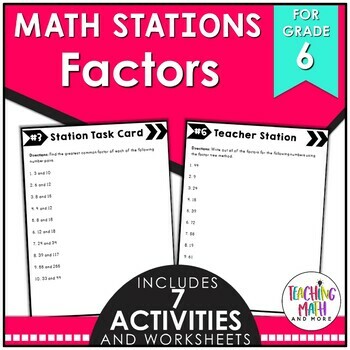 For most students this may be a review lesson from 4th or 5th grade, so it's best to go over Factors & Multiples with Math Stations. This math station activity is intended to help students understand find the greatest common factor of two whole numbers less than or equal to 100 and the least common multiple of two whole numbers. Students will also understand how to use the distributive property to express numbers. Lastly, I have a fun and engaging way for you to actively have your students using factors & multiples. I always assigned these fun puzzles are extra credit or classwork assignments, but many other teachers have used them as bell ringers, morning work, or homework to name a few. They are always a hit with the students as they review most of the concepts for Grade 6. Have fun with factors & multiples! It's a topic that needs to be light and fun as it is a building base for Algebra 1 and needs to be mastered for success in higher Math classes to come.